The Austrian RaceAlliance team has announced its parting of the ways with Frank Diefenbacher. 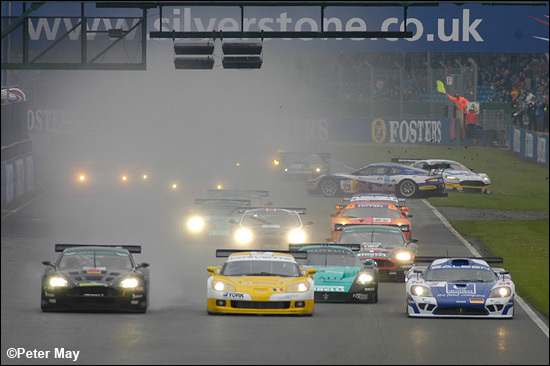 Following the dramatic incident at the Silverstone FIA GT race, where the team's two Aston Martin DBR9s got together right at the start, with Diefenbacher’s race over right there and then, the German’s position within the team was not helped by the fact that the damage to the two Astons Martins was greater than initially assumed. Now the team has made it known that Diefenbacher’s sponsor has failed to meet his financial commitments. According to the team’s statement, legal action will also be taken against the former World Touring Car Championship driver. This means that only the Red Bull Aston of Karl Wendlinger / Philipp Peter will at the next FIA GT race in Brno on May 27/28, ironically the team’s unofficial home race, on the track closest to Austria.